Surrounded by nature, nearly all of the 40 one- and two-story new homes in phases 3 & 4 at The Commons back up to protected green space, immersing homeowners in their natural surroundings. Included features at The Commons span from granite counter & vanity tops, to stainless steel appliances, to hand-scraped style hardwoods, and two-car garages. 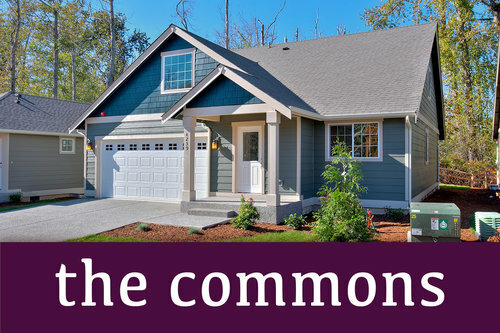 Homebuyers at TRIO|Commons phases 3 & 4 can choose from 12 floor plan designs, ranging from a 1,066 square foot, two-bedroom one-story craftsman-style house to a 1,675 square foot three-bedroom two-story home. Depending on the floor plan, homes include great rooms with soaring vaulted ceilings amplifying natural light, private studies, gourmet kitchens with islands and separate dining areas, second-floor bonus rooms that can be used as game or media rooms, main-floor powder rooms, desirable main-floor master suites, wide front porches and backyard decks for relaxing outdoors with family and friends. These houses in Bellingham are priced from the High 300’s.